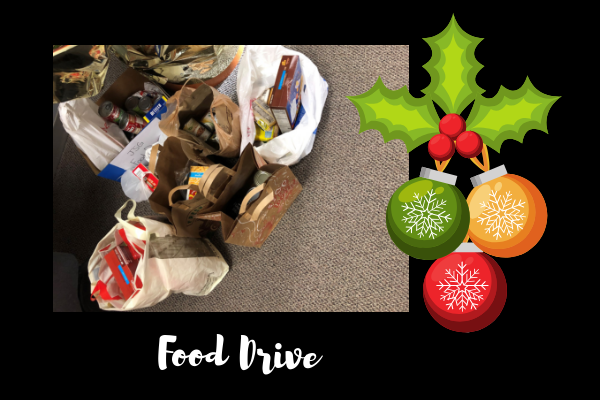 During the holiday season, our JSG team loves to give back. Many of our offices around the United States and Canada partner with local communities and charities to help share the spirit of giving. 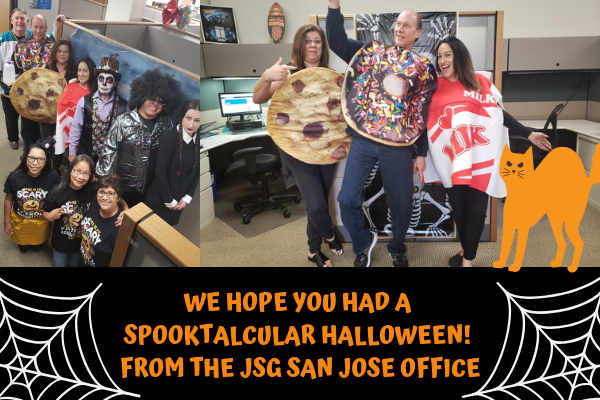 Here’s how some of our offices here at JSG gave back to the community. Our Chicago office adopted several families from the Naperville, IL area. The team donated presents and wrapped them for families who wouldn’t have otherwise had gifts for the holidays. The team in Chicago also hosted a food drive and donated the food items to a local food pantry. 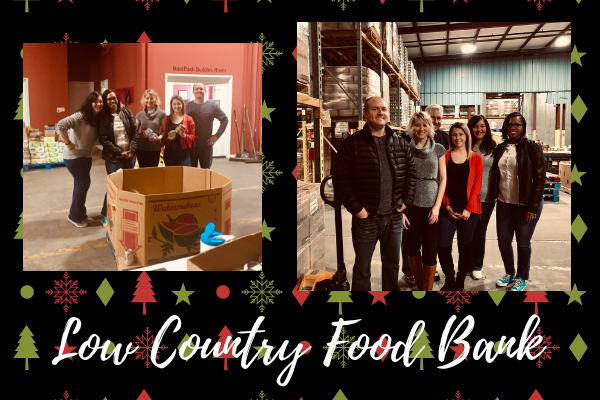 Our team in North Charleston spent an afternoon volunteering at local Low Country Food Bank helping prepare for the busy holiday season! 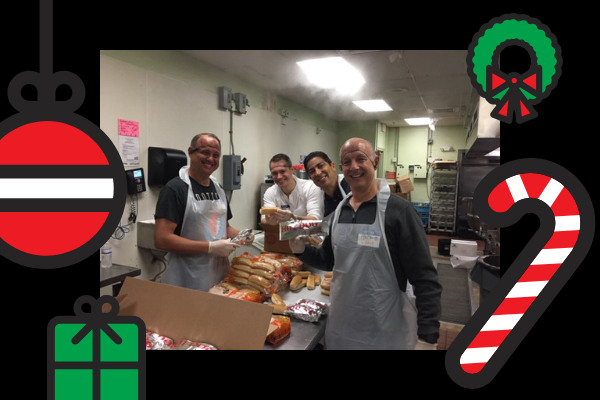 The Tampa Team volunteered for Metropolitan Ministries who are local, grassroots, donor and volunteer-fueled community nonprofit. They provide practical solutions for poor and homeless families and individuals throughout Tampa Bay. We volunteered in their Kitchen for meal prep for their locations. 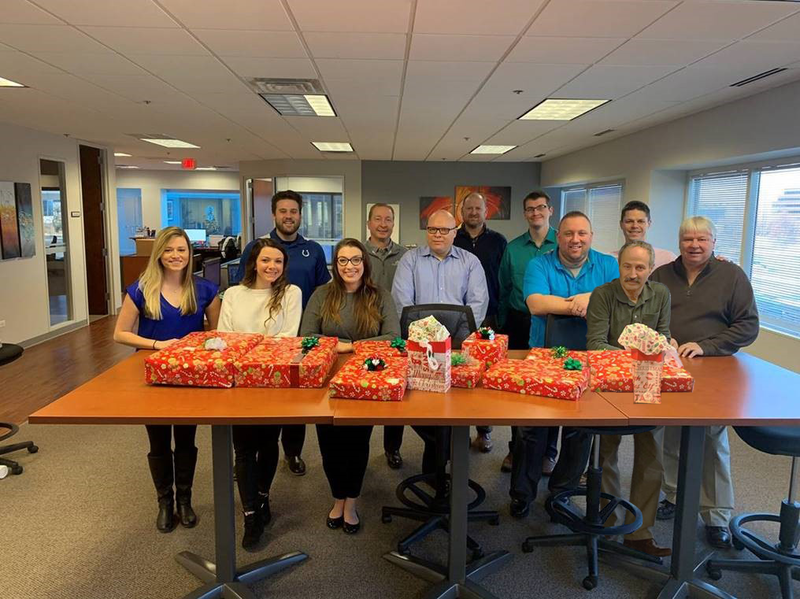 Each year, the Johnson Search Group team has a gift exchange. They draw random names and give the person they draw a gift they think they would have liked as a kid. They wrap up all the presents and do a gift exchange at their office Christmas party. Afterward, they donate all of the toys and gifts for Toys for Tots. The JSG HR team would like to introduce their newest member, Nicole Jacobsen! We sat down with Nicole to learn a little more about her and what she does for our HR team. Hi, I’m Nicole Jacobsen. I have been with JSG since the beginning of June and joined the HR Team in early August of 2018. My main responsibilities within the HR team are handling any 401k related items; i.e. enrollments, rollovers, distributions, or any other related questions. I am your go-to for vacation and sick time requests. I help Linnea with payroll and ordering business cards. I also work with Nick on benefits; i.e. enrollments, reconciliation of the bills and responding to any related inquiries. 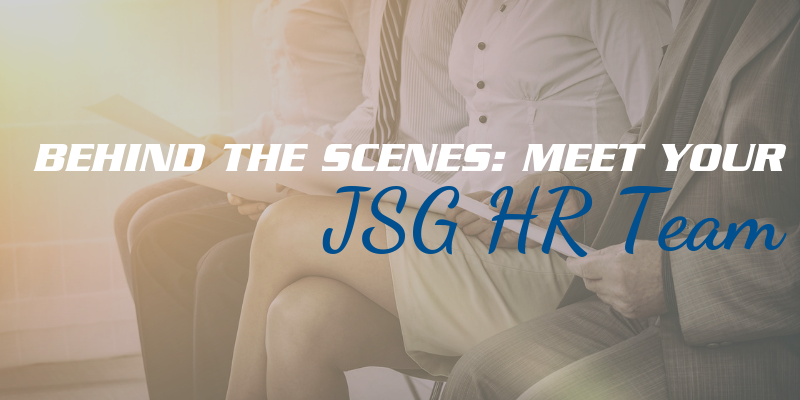 What’s your favorite part about working for JSG so far? The people! Everyone has been more than welcoming and I love getting to meet people from different locations. What do you like to do away from the office? Spending time with loved ones. I love sports –attending games & watching them from home (go Cubs!) and I enjoy running and reading in my free time. What are you excited about for JSG as we enter the new year? I’m excited to continue growing and taking on new responsibilities. I look forward to building better relationships throughout the organization to be able to better support our employees and contractors with any needs they may have. Enroll in JSG’s 401(K) Plan Through Transamerica Today! 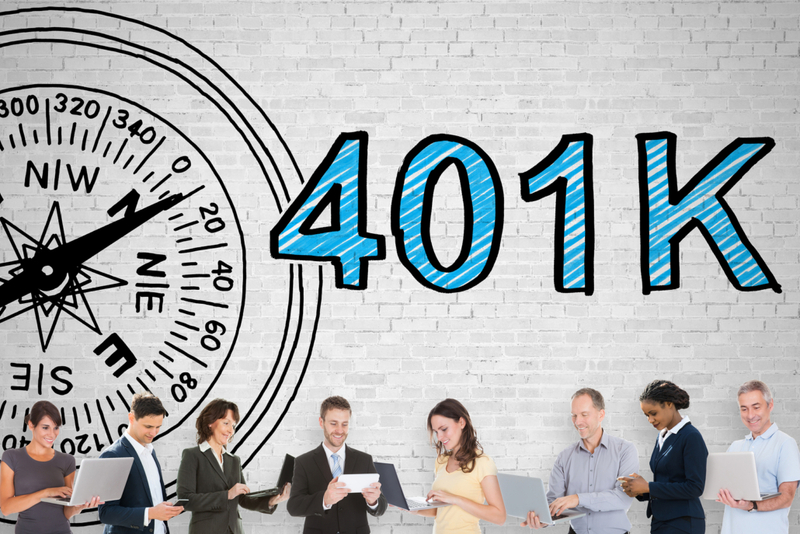 JSG is pleased to offer to its employees a 401K investment option through Transamerica Retirement Solutions. Transamerica is a well-known and respected provider with more than 70 years in the retirement services industry. They offer a wide selection of quality investment choices from over 35 leading investment management companies. Why should I enroll in JSG’s 401(K) program? Tax advantages: You can contribute a certain percentage of your income towards 401(k) on a pre-tax basis. In other words, the amount you contribute to your 401(k) is exempt from current federal income tax, so it lowers your taxable income. It’s painless: JSG automatically deducts your contributions every time you are paid. You don’t need to remind yourself to write a check. Financial responsibility: In the end, an individual is responsible for his or her financial future, no one else. Simply send an email to benefits@jsginc.com requesting to be enrolled in the 401k plan. https://jsginc.com/wp-content/uploads/2018/12/bigstock-201193357.jpg 1067 1600 Matthew Bennett https://jsginc.com/wp-content/uploads/2016/06/JSG_Logo_Tagline_Sept_2015M.png Matthew Bennett2018-12-12 13:40:502018-12-12 13:42:22Enroll in JSG’s 401(K) Plan Through Transamerica Today! 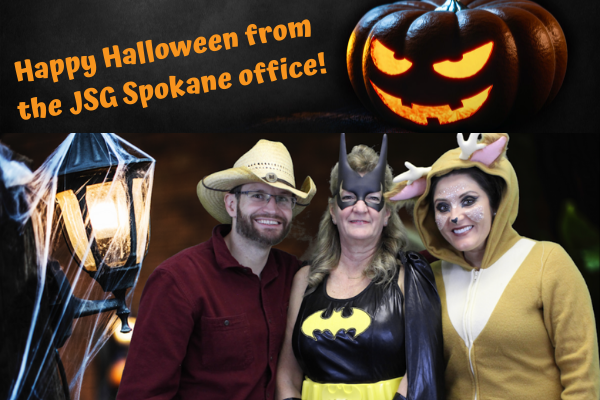 This year, JSG offices around the nation were feeling very spirited! 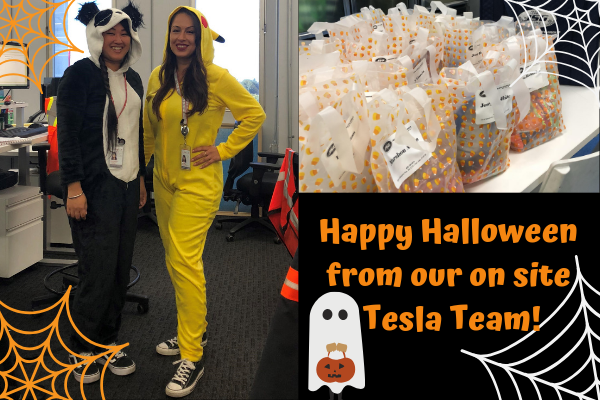 Thank you to those who shared their fun Halloween pictures. 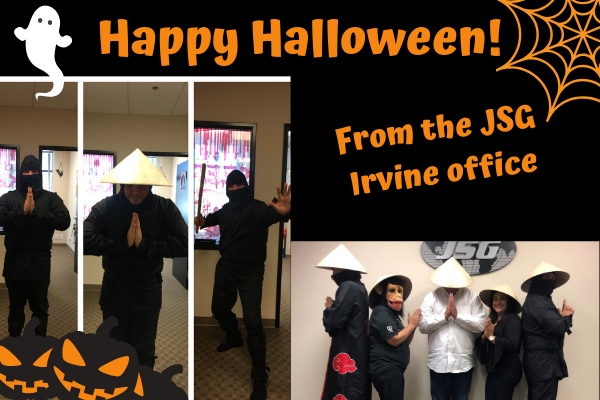 Check out some of the spooky costumes and decorations from the JSG team! You’ve heard of them, you may have contacted them, but do you know the faces behind the names? The Johnson Service Group Human Resources Team are crucial to the day-to-day operations of our company. We have offices all across the nation and Canada, so you may have not had the opportunity to formally meet your HR team. So, they wanted to introduce themselves! Whether it be questions about your time off, your benefits, or even Open Enrollment, the JSG HR team is here to help! Hello, I’m Susan Sproule and I am the HR Manager. I have been with JSG for over 10 years. I guide and manage the overall provisions of Human Resources services, policies, and programs. 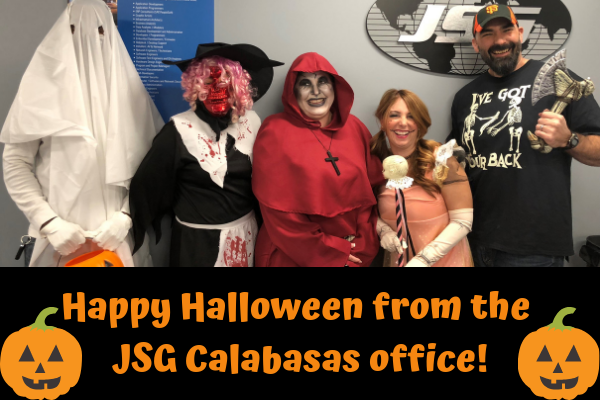 JSG has a great HR Team and please reach out to any of us. We are here to help you! Hello everyone. I’m Nick Yacobi and I’m one of the HR Generalists here at JSG. I have been with JSG since February 2017. My main responsibility is all things benefits – from insurance to 401k and all things in between. I am responsible for the daily administration of both our contractor and staff insurance plans. I also work closely with Susan on the 401k plan administration, which includes enrollments, changes, communications, and the annual audit. If you ever want to chat about the exciting world of benefits, I can always be reached by phone or email! Hi! My name is Linnea Rummage, and I am an HR Generalist with JSG. I have been with JSG since June 2016 and it’s been great! My responsibilities include entering weekly staff payroll, pre-employment paperwork and onboarding new hires, I9 compliance, sick/vacation time requests, and processing failed background check paperwork. I am also the point of contact when Susan is unavailable. Please feel free to reach out anytime! Nick and I are both University of Iowa alums, Go Hawks! Hi! 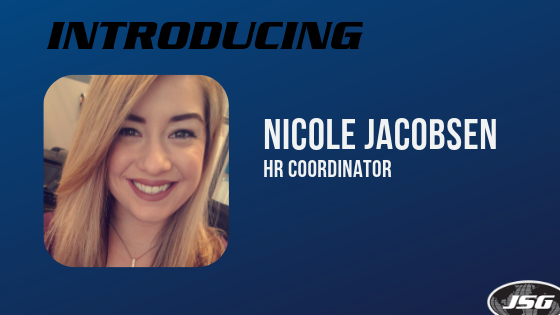 I’m Nicole Jacobsen and I am the HR Coordinator. I have been with JSG since June 2018 and I’ve been working in the HR department for about 2 months. I am responsible for the administration of the 401k plan and insurance benefits, including enrollments, terminations, any weekly changes, and billing, for both staff and contractors. I also assist with processing payroll weekly and I respond to any requests for time off status. I am still learning all the ins and outs of the department, but always free to reach out to me and I will try my best to assist you. If I can’t answer your question, I will find the answer! Hello, I’m Sharon Tinker and I am the HR Clerk. I have been with JSG for almost 3 years. I take care of all verifications of employment and process staff employee expense reports. I also provide updates on accrued vacation and sick time when requested and pitch in and assist when needed. https://jsginc.com/wp-content/uploads/2018/10/HR-Team.png 400 800 Matthew Bennett https://jsginc.com/wp-content/uploads/2016/06/JSG_Logo_Tagline_Sept_2015M.png Matthew Bennett2018-10-04 12:46:592018-11-07 09:59:10Behind The Scenes: Meet Your JSG HR Team! Are you currently looking for a new job? 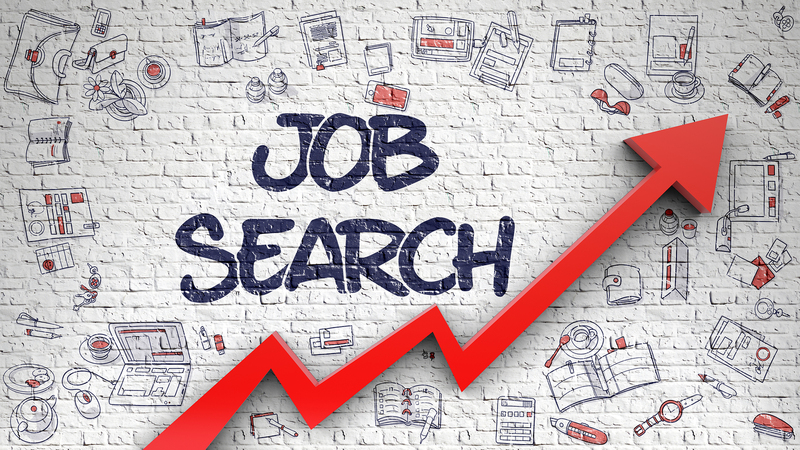 If you haven’t been on the job market in a while, it can be overwhelming to figure out where to start your search. There are thousands of resources at your disposal and it can be difficult to filter through all of the advice and “words of wisdom” out there. Maybe you are currently in between jobs or maybe you’re just taking advantage of this hot job market with the lowest unemployment rate in 17 years. Whether you’re a passive or active candidate, here are four tips to effectively begin your search for a new job. The first step to a successful job search is to update your resume. You need to ensure your resume is properly formatted, easy to read, and includes your most relevant experience. You should definitely tailor your resume to each job you apply for. However, that doesn’t mean you can’t start updating it! This is especially crucial if you haven’t updated your resume in a while. You easily add your current contact information, address (depending on where the job is located), past or current job roles, and any recent certifications you may have completed. Now that your resume is polished, it’s time to tackle that LinkedIn profile. If your LinkedIn profile is already up to date with your most recent position, then kudos to you! If your LinkedIn profile needs some love (or if you don’t have one at all), it’s time to get it in working condition. Both employers and recruiters use LinkedIn to find and evaluate candidates for open positions. In fact, 93% of recruiters and human resource professionals check out candidates’ social media profiles (including LinkedIn) before extending a job offer. Thus, if you are not on LinkedIn, you are already at a disadvantage in this crazy job market. And it’s not good enough to just have a LinkedIn profile; you must have it completely updated and optimized! It only takes you about 30 minutes to do so, and trust me, it will be the best half-an-hour you spend for your job search. Check out our guide to efficiently leverage your LinkedIn profile to find your next job. Pro tip: Make sure you have LinkedIn’s feature called “Open to New Opportunities” turned on so recruiters know you’re interested in new positions! Once your resume and LinkedIn profile are in good shape, you’re ready to start searching for open positions. The easiest way to do this is to monitor job boards. This is easier than ever with mobile apps for your phone or email alerts. Now you can sign up for app and email notifications that alert you when a job matching your qualifications and specifications. All you have to do is check out job boards such as Glassdoor, Indeed, CareerBuilder, LinkedIn, and of course, JSG’s job board. You can even join our Talent Network that will enhance your job search and application process. You’ll receive alerts with new job opportunities that match your interests and be ahead of the game! If you really want to step up your job hunt, you can partner with a recruiter. Recruiters have excellent relationships with hiring managers and human resources. They can use these connections to help pivot you to the top of the list of applicants. When you partner with JSG, you become your biggest advocate. We assist you throughout the hiring process and help you find your next career opportunity that matches your unique skills. Learn more about our recruiting process and why you should partner with JSG. JSG had an exceptional renewal with Blue Cross Blue Shield (BCBS) of Illinois this year with only a slight overall increase in premiums. We are excited to announce that JSG will be taking on 100% of this increase. As a result, effective July 1st, your weekly premium contributions for the new plan year will remain the same! JSG’s Annual Staff Open Enrollment will take place June 1st through June 15th, 2018. During Open Enrollment, employees will be able to add, change, or drop coverage through HR Connection. Any changes or additions made during this time will take effect July 1st, 2018. PPO Plan — This plan has a $500 individual ($1,500 family) deductible, and copays for office visits and prescription drugs. It also offers the flexibility of both in and out-of-network coverage with no referrals needed. 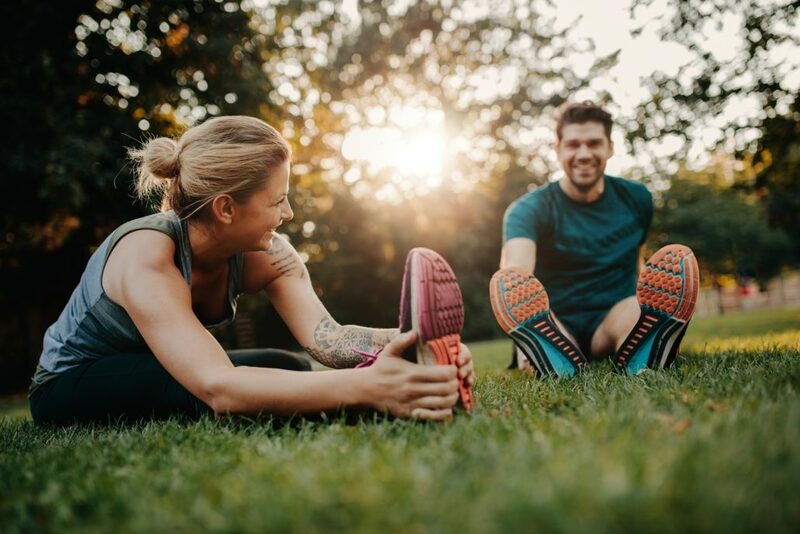 Health Savings Account (HSA) Plan — This unique, high deductible plan allows for HSA contributions on a pre-tax basis, which not only is a tax saver, but will save you money. HSA’s come with a much lower premium than a traditional medical plan. This plan has a $2,700 individual ($5,400 family) deductible, which all services (including office visits and prescription drugs) apply toward before the plan covers any costs (excluding preventive care, which is covered at 100%). HMO Plan (Illinois residents only) — This plan has no deductible, and copays for office visits and prescription drugs. The HMO option has in-network coverage and requires referrals for specialists. If you elect this plan option, you must select a Primary Care Physician (PCP) for yourself and any enrolling dependents. Supplemental benefits will continue to be offered through Lincoln Financial Group effective July 1st, 2018. All benefits will remain the same, including Dental, Vision, Voluntary Life/AD&D, Short Term Disability and Long Term Disability. In addition, any employee enrolled in a BCBS medical plan is also eligible for $25,000 of Basic Life/AD&D that is 100% paid for by JSG. To continue, make changes to, or waive coverage, all staff employees must log into their www.hrconnection.com account and click “Time to Enroll” on the top left hand side of the page during the Open Enrollment period. All employees must respond to any items listed “action required.” Note: All employees must confirm enrollments or waivers in HR Connection by 5pm CST on Friday, June 15th, 2018. *Please keep an eye out for an email from JSG HR officially announcing this year’s Open Enrollment. It will contain more details and pricing information on all of the health insurance options available. Working on a contract term allows you flexibility and freedom. If you’re the type of person that doesn’t like to be tied down to one company or location, contract work is the perfect option. You can find contract opportunities of all kinds, from short-term to long-term or local to traveling. Contract work allows you to “try on” different positions and specialties. You may think you know what industry and/or position you ultimately want out of a career; however, this is a great opportunity to try different options. For example, you may be surprised to find that you have a passion for IT in small mining communities, even though you previously dreamed of doing IT for a big software company. 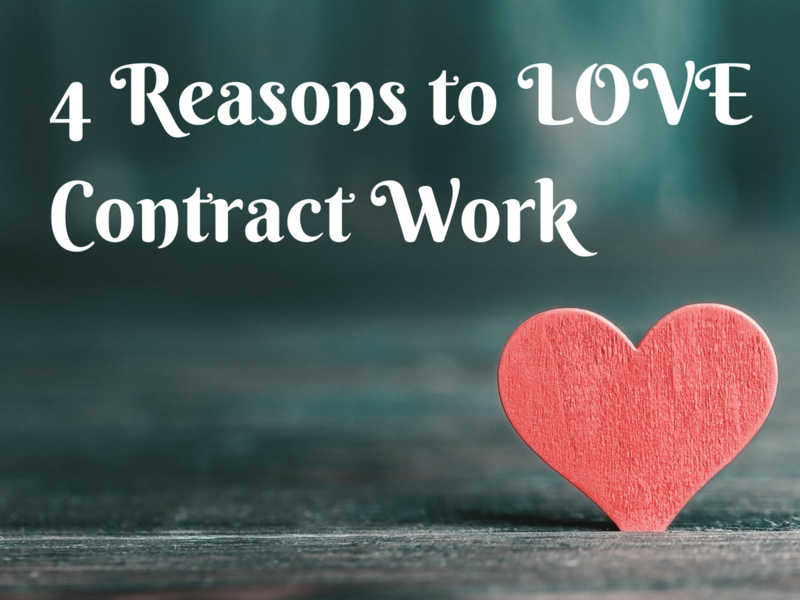 In addition, contract work is a great way to “try before you buy.” It’s the perfect opportunity to get a feel for a company or a role that you are unsure of, while making contacts and connections within the industry. Sometimes contract jobs evolve into full-time offers, making it a great way to get your foot in the door. Contract jobs give you the opportunity to really hone in on your expertise. Rather than working a full-time job that juggles multiple responsibilities, contract work often concentrates on a narrow specialty. And the more contracts you take, the more skilled you become at your craft. This makes your expertise in specific areas extremely valuable – and can be great leverage for future contract opportunities or even full-time positions. Congratulations to all of our team members with anniversaries in February! Please join us in celebrating our tenured staff for their dedication and service to JSG. We love having you on the team. We gained a few fresh faces in January here at JSG, and we’d love for you to join us in welcoming them to the family! JSG is excited to introduce our new Corporate Recruiter, Katie Kuebler! Katie has been a Senior Technical Recruiter with JSG for almost 5 years. She knows our company inside out and brings a wealth of expertise in recruiting top candidates. 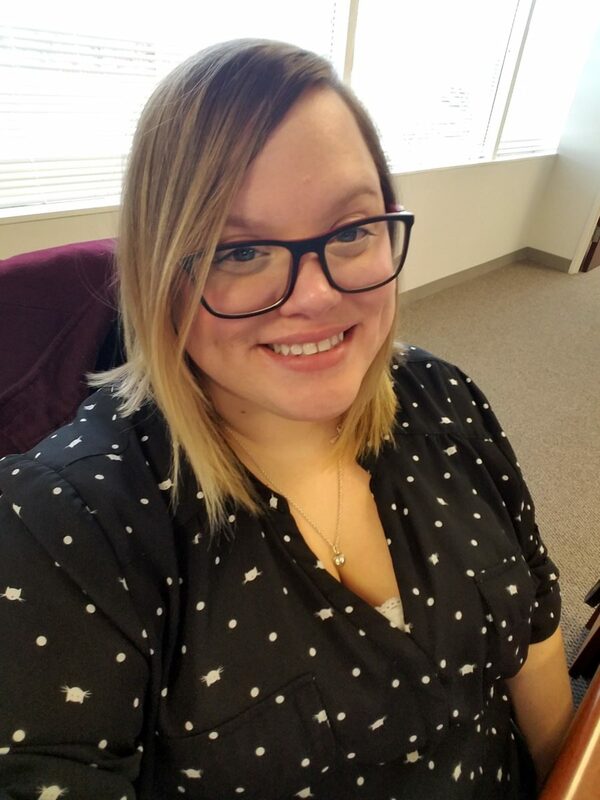 Prior to joining JSG, Katie was an Account Manager/Business Development Consultant with CareerBuilder, where she gained experience with building lasting relationships and developed a love for the world of recruiting. She graduated from the University of Illinois at Urbana-Champaign with a Bachelor’s in Liberal Arts & English. Learn a little more about Katie and join us in welcoming her to the team! How long have you been with JSG? What made you decide to make the switch to being our corporate recruiter? Funnily enough – when I originally applied to JSG it was for the corporate recruiting role. At that time, however, I was transitioning from a business development role at CareerBuilder and did not have enough actual recruitment experience to hit the ground running. Now that I’ve gotten several years of recruiting under my belt, when the corporate recruiting position opened again I jumped at the chance. 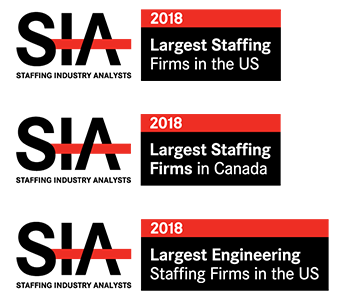 Helping our clients find the best quality talent out there was very rewarding, but I’m even more excited to apply all that I’ve learned to recruit talent that will benefit our company and culture directly. What’s your favorite thing about working for JSG? My co-workers. Our Chicago team is a fun, feisty bunch and they make the daily grind a lot easier. I feel lucky to have gotten to work alongside and learn from some awesome, talented people here in the Chicago office. I very much look forward to getting the opportunity to learn more about and work with our other offices as well. What’s your favorite thing about being a recruiter? The opportunity to help someone better their current situation. Whether it’s better benefits, a better work environment, more money, or career advancement – knowing I helped someone make their life better in some way is very fulfilling to me. 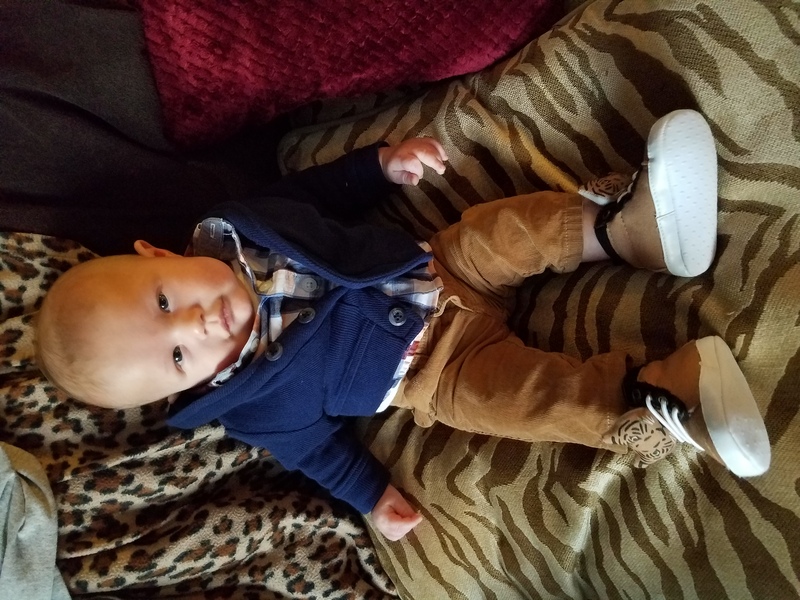 I just had my first child, a baby boy, in October – so spending time with him is my absolute favorite thing to do. I also love trying new restaurants, Netflix & chilling, and playing old-school video games like Mario Kart. My son and getting to experience the world freshly through his eyes. Everything is so new and exciting for him and it makes you realize how much you can take for granted in your daily life. If you could learn one random skill, what would it be? Card counting. I’d moonlight as a Blackjack shark at the casinos. Babies are expensive! How do you maintain a healthy work-life balance? I try my best to make the most out of each work day so that when I’m home I can really focus on being home and present. What’s on your wish list for your future with JSG? Now that I’m getting the opportunity to step into the Corporate Recruiting role, I’m excited to partner with all of our offices more closely to help them achieve their hiring goals and pipeline candidates where applicable so our recruiting efforts are more proactive than reactive. I also hope to bring a fresh perspective to this role to make the recruiting process more seamless and to market JSG as a choice employer in our key market areas.